Providing independents, workshops and dealerships throughout the UK with an increased portfolio of premium workshop equipment manufactured in Denmark. In this article, we take a look at the Maestro 35 Series of Two Post Lifts. With the new Maestro 35 M / H series from AUTOPSTENHOJ, the lift specialist succeeds in bringing a real all-rounder to the starting line. The Maestro two post lift range features a solid 3.5 tonne lifting capacity and a choice of electro-mechanical (M) or electro-hydraulic (H) models are available. The lifts, which have been designed to have a universal lifting area, ensures both models are suitable for lifting small cars up to a MWB van. The innovative design of the arms, with their ultra-low profile, makes it easy to lift low clearance sports vehicles too. The variety of accessories available include LED lighting, a secondary lift control unit and power socket for battery charging with compressed air connection. 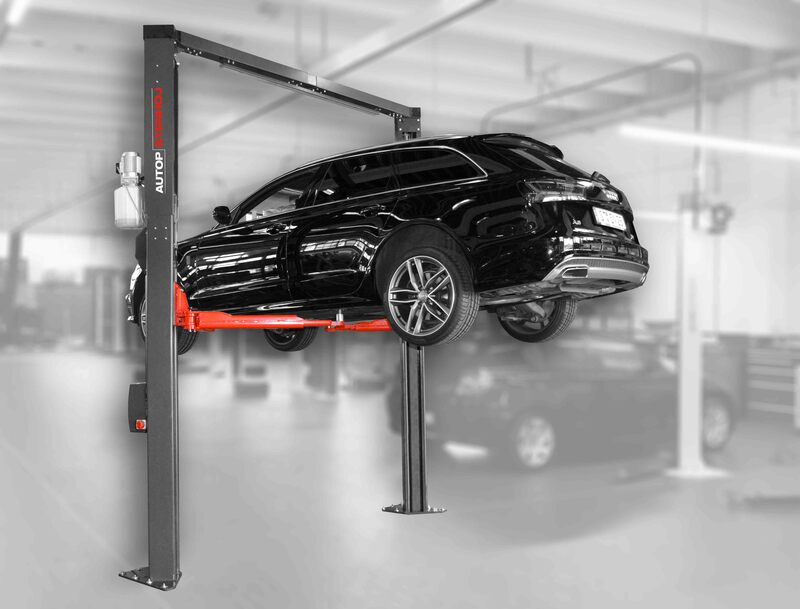 The AUTOPSTENHOJ Maeastro series offers customers a complete lifting solution for their workshop! Following on from our introduction to Gemco’s exciting new range of two post lifts from AUTOPSTENHOJ in this article we take a look at the Double scissor MagiX 35 DS, which is available now. With the new double scissor MagiX 35 DS, AUTOPSTENHOJ offers a very good lift. Despite the high load capacity of 3.5 to. a drive-over height of only 100 mm is achieved, which also makes it possible to drive over and lift low sill vehicles like the BMW i8. Not least the standard hot-dip galvanised base frame promises a lifetime of the lift.